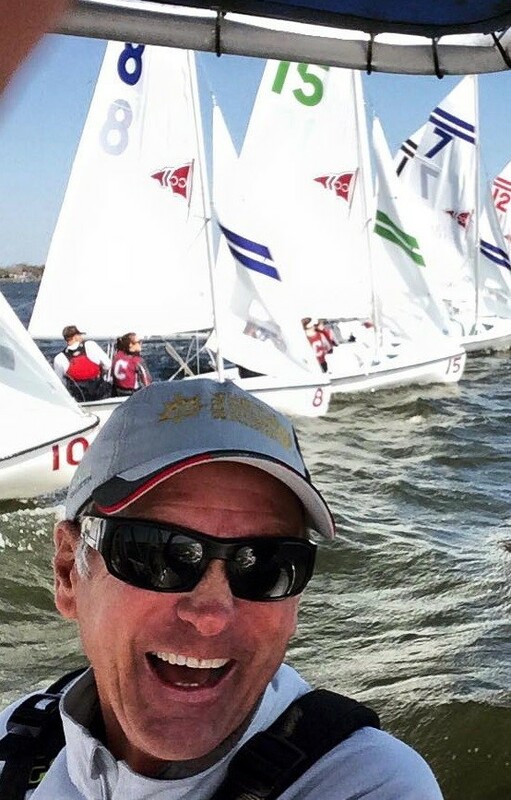 Greg is a former All-American collegiate sailor, acclaimed sail maker, and the Director of Sailing for the College of Charleston Cougars who recently won the 2017 College Sailing Team Race and Coed Nationals. 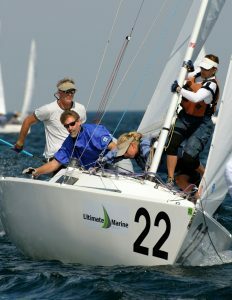 An accomplished sailor himself, Greg has won 21 North American and National Championships in seven different classes. A native of Columbus, Ohio, he earned his All-American status at Ohio Wesleyan and soon after went on to a successful career in sail making for 34 years. Greg owned his own loft, Fisher Sails before joining North Sails in 1991 where he handled many One-Design classes. 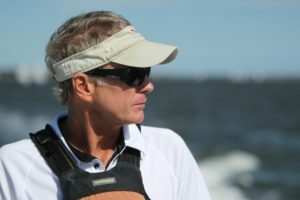 In 2010 Greg became the College of Charleston’s Director of Sailing. Under his guidance as director, the Charleston Cougars have won 3 Fowle Trophies, 9 different nationals, and produced 25 All-American sailors. Both my brother Matt and I started pretty young- we were like 5 or 6 when we started crewing for our Dad in his Lightning. 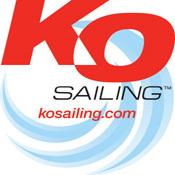 What drew you to competitive sailing? We were very fortunate to have a super supportive family when it came to sailing. My Dad actually gave up his own sailing so he could really help us focus on ours. We had our own Lightnings at 11 and 12 (yes it raised a few eyebrows!) 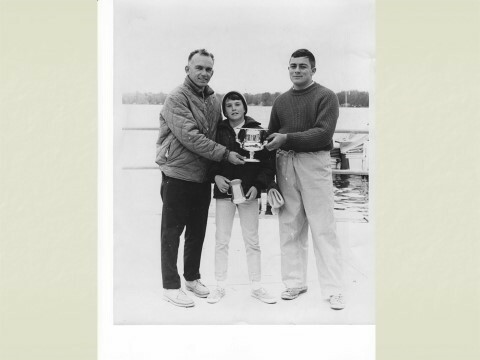 and our Dad took us to a bunch of regattas- both Junior events and Lightning- all through the summers. He never really pushed us hard but gave us every opportunity to sail as much as we wanted so we could really enjoy the sport- which we did. Our club in central Ohio- Buckeye Lake- was very competitive and enthusiastic in those days. 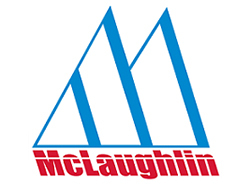 There was a strong one design racing focus as well as great passion for youth sailing/racing. Members of our club, and of course our parents, would all go to the major Junior regattas to cheer us on. We were super lucky. Tell us about your college career. What did you take away from it? College Sailing is when I really grew attached to the sport and realized it was more to me than just a hobby. I learned a great deal in college about the value of boat speed and sailing conservatively. I also appreciated the value of practice and coaching. Most important, I made friends- true quality people- who I still enjoy sailing and hanging out with today! 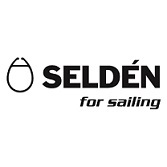 How did you get into the sail making industry? In my early college years, I worked summers for a one design boat builder in Cleveland. We built a bunch of Snipes and Lightnings and I l really enjoyed it. But it was my Dad who suggested I just check out sailmaking before I commit to boatbuilding full time. 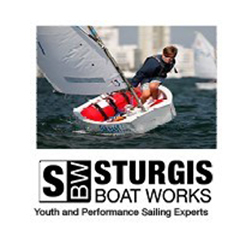 I moved to Newport, RI and started working for Bill and Doug Shore of Shore Sails. 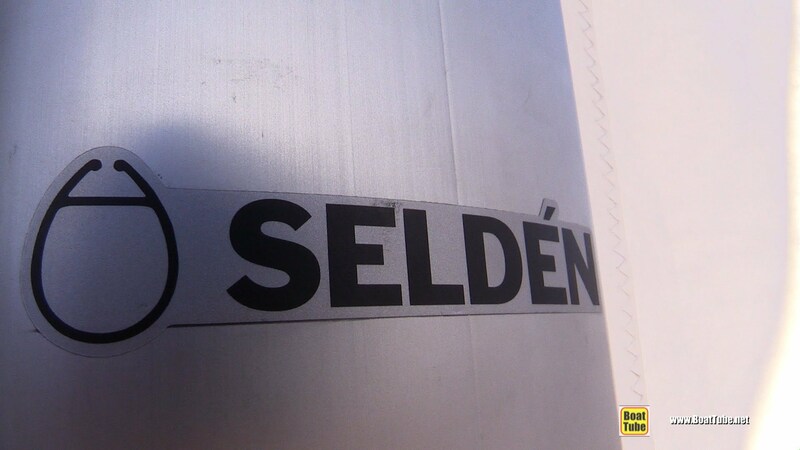 They were not only talented sailmakers and made some very speedy sails, they were also truly customer oriented. They really made sure their customers knew how to use their sails and get the most from them. I was really taken with sailmaking. 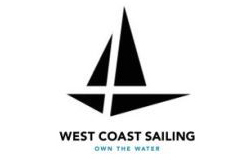 I loved the fast pace, the technical aspects and most of all I loved the thrill of watching and helping our customers use our sails and sail fast! I had found my career that I would enjoy for over 34 years! I learned a bunch from Bill and Doug. You started your own sail loft, Fisher Sails. What was it like to have your own sail loft? 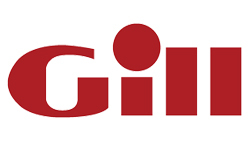 I moved back to Ohio and opened one of Bill Shore’s first franchises in 1978. In 1986 I was ready to give it a go on my own and dropped the franchise and started Fisher Sails. We focused on just one design sails and really worked that niche. It was quite a learning experience that involved the running of a small business as well as designing and building sails. At one point we had upwards of 15 people working on the floor. We enjoyed a good run in those days and one year our sails even help win 14 different One Design Nationals! What a thrill! In 1991 you joined the North Sails team and were there until the year you became the CofC Sailing Director, what was it like to work for one of the biggest sail making companies in the world? Working for North Sails was, an incredible experience for me. When North Sails bought Fisher Sails in 1991 they were just beginning to roll out the first 3DL sails. It was exciting to watch the passion for the technology and desire to build the coolest, fastest sails. 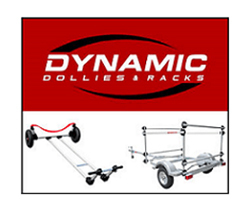 It would have been easy to become totally engrossed with just building the finest product but there was always a strong group in the company who appreciated and made sure that customers were always well cared for too. I was given a lot of free reign and encouraged to sell one design sails as I thought most effective. 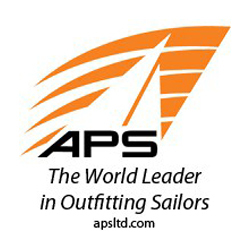 I really loved helping our customers take the sails, learn them, sail fast, and have a great time. We had so many great people and resources in our One Design Group that all complemented one another. There were incredibly talented designers, wise business people, strong marketers and all good sailors who loved the sport. Most of those guys in the One Design team are still there! What did your job at North Sails entail? In the One Design Group, we all worked together to take care of an incredible number of classes. Each of us was assigned a number of classes (I think I was responsible for about 10-12) and we had to work with our designer to make sure the sails were fast and easy to set up. We wrote the tuning guides and put together our class specific clinics. We worked with our marketing gang in providing content for ads and newsletters. And of course, we travelled to regattas and clinics usually 3 out of 4 weekends. I think at the height of my career I would sail 5 or 6 Nationals and a similar number of Midwinter Championships. It was a quick pace but super rewarding. I was especially lucky as my wife Jo Ann sailed with me in nearly every regatta. I still don’t know how she kept her job as a speech pathologist but we sure had some great times racing and travelling together! How did you find yourself as the College of Charleston Director of Sailing? I really wasn’t looking for a career change. But one day out of the blue, Jim Allsopp a vice president at North said “hey, I know a position I bet you’d really like and you should check out”. Jim’s son Cole was on the team at the College of Charleston and Jim said the college was looking for a new director. Once I got over the fact that a vice president at North suggested I consider another career I surely checked it out! My daughter Martha had attended and enjoyed the College as well and of course the success and reputation that the College of Charleston Sailing Program had long achieved was impressive to say the least. Jim was right. Once we visited Charleston we felt the southern hospitality and loved the town and the College. The respect from the community the C of C Sailing program had earned was amazing, and well deserved. We surely miss Annapolis and all our friends but it’s been fun having them come visit and seeing them when up in Annapolis at regattas. The job is different from being a sail maker, what are some of the challenges you’ve found in this position? 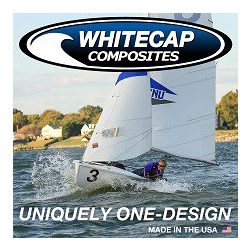 Being the Director of Sailing at C of C was quite different from being a sailmaker. The administrative details are an important part of my daily duties and shouldn’t have been a surprise. Fundraising is a critical focus for any sailing program and I am fortunate for the support of our Development Office here at the College. The team feel was like that at North and I learned to really enjoy that part of my job. 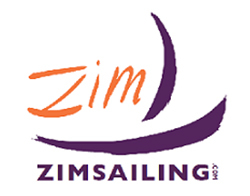 Though I still love to teach sailing and coach we have 3 excellent full time coaches and my real focus is to ensure they have all they need to be as effective as possible. They work hard and are great leaders. But I still love to make it to practice and watch the team sail. I still offer some ideas on boat speed when I can! What is your involvement in recruiting sailors to come to CofC? Our coaches Ward Cromwell, Mitch Hall and Ned Goss do a great job maintaining a watchful eye on the talent in high schools around the country. And when these kids come visit the college we all work to ensure they see all we’re proud of and offer. Usually the recruit rides in the coach boat with Ward or Mitch and sometimes stay with a team member so they really get an idea of what a “day in the life” is like. While we all work together in recruiting, it seems my greatest value is to be able to relate with the parents. Many I’ve met or even sailed against over the years. What are some of your favorite highlights since you’ve been the Sailing Director? We’ve been very fortunate and have enjoyed a lot of great times these past 6 1/2 years. 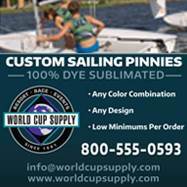 Winning 3 Fowle Trophies, 9 different Nationals and watching several of our sailors compete in Rio has been a thrill. We have had over 25 All-Americans. It’s been rewarding for our program to have such a successful offshore team. To be able to develop our Community Adaptive Program and help offer opportunities for Veterans and others who might not be able to sail has been super special. We host a few of our local high school teams’ practices at our center and it’s exciting to watch them enjoy and improve. 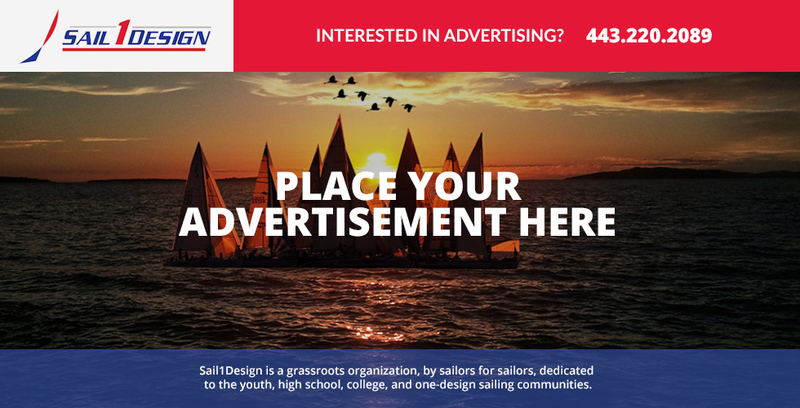 All of us- our coaches, our staff and even our teams really want to contribute to the growth of sailing in Charleston. What is your greatest satisfaction from being the Sailing Director? Without question, the greatest reward for me is when our sailors actually grow to enjoy the sport even more than when they started at the College of Charleston. It’s great to see them improve, sail faster and of course win. But if they enjoy the whole process, the sport and want to continue on with it once they graduate-now that is really special and I feel like we’ve really contributed to their future! 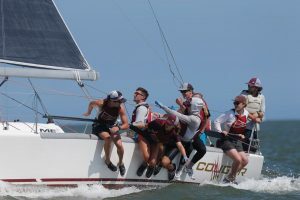 The College of Charleston hosted the 2017 College Nationals, tell us about that experience hosting the event. Well, that was a bit of a project. We took it on last September when the original host couldn’t hold it. We thought 8 months would be plenty of time to prepare but we needed every day to get it set up! But we had a great deal of support (especially from the USS Yorktown staff who provided spectating from the flight deck of the WWII aircraft carrier) and as a result it came off well. The sailing conditions were generally really good and provided the teams a little bit of everything…and for sure a good bit of current! But with over 330 sailors and 850 spectators and 11 days of sailing-it was indeed a big event. I was especially proud of our team and how hard they worked to ensure all the details were handled on land as well as the water and it was successful. But for sure for our sailors to sail so well and finally win 2 of the three Nationals and ultimately the Fowle was a thrill for all of us! What do you have to say about your CofC team who won the Team Race and the Co-Ed National titles? I couldn’t have been more proud…proud of our coaches who paced the team to encourage them to truly peak at the right time, proud of all our team and how they were literally on the dock tirelessly cheering and supporting their teammates on the water, proud of all the talented sailors who raced all the events and how they maintained the passion throughout the marathon event right to the last weather leg of the last Co-ed race. I have never witnessed such confident (but not arrogant) determination as in the last day of the event. To come back from starting the day in 4th to solidly winning the Nationals and in just 5 hours of racing was something I’ll never forget. What a team. What makes a college program become top level? In my humble opinion it is all about the passion at all levels. There needs to be support from the college itself. There must be fine boats, equipment and the facility that allow the team to progress. The coaches need to be hungry to help guide their sailors. And while I think the desire in the coaches can help fire up the team, the sailors themselves are who really the most passionate about their sailing, their schoolwork, their health and being able to navigate it all. They must enjoy the process of training, travelling and competition. I think building an environment that encourages your sailors enjoy all that goes with being a member of a top-level team is what makes the difference. How do great sailors set themselves above the competition? I think great college sailors work hard to avoid distraction in their day to day life. They know what is most important- or most important to them- and they work really hard to keep their eye on the ball. They also pace themselves and make sure they’re not burning themselves out- and recognize when their passion is being tested. They are fast sailors and know how to keep their boat in the right gear most of the time. They’re conservative sailors and don’t try to win a regatta in one race or the first race…again they recognize the pace and usually it takes a bunch of races to come out on top in an event. They’re excellent, consistent starters. But they’ll rarely be leading half way up the first beat…. but they’ll rarely be deep as well. They’re avid learners and always enthused to master new skills…and look for help to make it happen. It’s also rare to see a true champion who’s not a great sportsman or sportswoman as well. Like with their life skills, they work hard to keep it all in perspective. When you are not sailing or running the colleges sailing, what do you enjoy doing? My wife and I enjoy following our 12-year-old daughter around in her gymnastics competitions. Of course, we’re hoping she’ll one day get pumped abut sailing and racing like us. We’re working hard, but cautiously to give her the opportunities so she’ll hopefully fall for it. She has an Optimist, an Open Bic and has sailed with us in a few Lightning regattas (we still enjoy our own racing from time to time) …but so far, no luck…but stay tuned! But we also enjoy just cruising around Charleston in our little powerboat and checking out all the different little bays, rivers, intercostal waterways. What a cool place!